First of all, let me say that having your weight fluctuate at the start of Phase 3 is normal. There’s a 2 lb window for stabilization for a reason. But there will also be times when you have to be reasonable with yourself and realize that stabilizing within that window is just not for you. Are You Trying to Stabilize the Correct Weight? This is a common mistake so let’s be sure about this. Your weight on the scale the first day of Phase 3 is NOT the weight you are attempting to stabilize. Your LDW (or LIW) – which stands for Last Day Weight or Last Injection Weight, is your weight on the scale the morning OF your last dose of hCG. This is the weight you will be attempting to stay within 2 lbs of. And remember there ARE actually times when you need to actually just ignore this 2 lb rule altogether. After that last dose of hCG, you will have 72 more hours of the 500 VLCD diet though. Most people lose more weight during this time, so that by the time they are starting P3, they are actually under their LDW by 1-3lbs. This weight is almost always regained right away, and that is normal. So say it’s the day of your last injection and you weigh 150 lbs that morning. That’s the new weight you will be trying to stabilize around. During the next 72 hours of very low calorie diet though, as the hCG is leaving your system, you likely will lose more weight and end up at say, 148lbs, by day 1 of Phase 3. During the first couple days of Phase 3, your weight might shoot back up to 150 lbs or 151 lbs right away, even if you feel you are doing everything right – that is normal. The fear is that your weight will continue just shooting up like that till your back where you’re started, but that’s really not what happens. While you MAY find it easy to stabilize under your LDW, this is not the norm, so I guess my advice here is not to focus on trying to do that. If it happens naturally, great, but you can find yourself in a difficult battle with a ton of steak days and discouragement if you mistakenly think that you must stabilize the weight you were on the first day of P3, when just a couple pounds higher it could have been super easy to stabilize and maintain. I’m on day 9 of phase 3 and until this morning I have been losing weight. My LIW was 116.8 lbs yesterday my weight was 113.6 and the this morning it up to 114.8. should I decrease my calories? Yesterday I ate about 1200-1300 and the previous day I ate about 1100-1200 calories. I’m 20yrs old and active I thought that would be an OK amount. I not sure what to do so far ever day my weight has gone down and now that it’s up I’m really nervous. I have been really careful and just ear when I’m hungry. I absolutely do Not want to gain any weight. Any advice would be immensely appreciated. Thank you. I can see that you are not going beyond 2lbs above your LIW so you don’t have to worry about anything. Your weight may be fluctuating but the goal of stabilization is not going above 2lbs your LIW – it’s quite normal to go up and down a bit as long as you’re within that 2 lb mark. Thank you for replying I really appreciate it. I’m starting to get really nervous because it went up again this morning (115.8) and yesterday I ate less about 1100 calories. I don’t know if I should eat more or less today. It may be weird but some gain weight when they don’t eat enough on P3. And unfortunately, it’s only you who can figure that out. I would suggest eating the same way in those days that you did not gain. You really have to observe and track down where you gained and lost weight. – I’m about 2.5 weeks into phase 3 and have gained 5 pounds. – Over this time I’ve done 4 steak days and the last 2 did not result in any loss so I haven’t tried again in the last week. – I’m up to about 800 calories (increasing mostly protein). I’m at a loss of what to do. HELP PLEASE! This is Li-an, Rayzel’s assistant. Nice to meet you! Looking at what you’ve been doing, I believe it could be because you are not eating enough? 800 calories on P3 seems to be low if you are on 2.5 weeks. What I would suggest is try increasing your calorie intake and find where you stabilize and work from there. Good luck! Hi Li-an! Thanks so much for the reply. I’m now at 3 weeks of P3 and have gained 6 back 🙁 I think with the gain I’ve been afraid to increase but you’re likely correct. I was still 5-7 lbs away from my goal when I stopped P2 so now have over 10 more to lose. Im almost to week three of p3, and decided to try nuts today. I had a fourth of the serving amount, which was 7 grams, serving size was a ounce, which was about 6 walnuts. I noticed I think i might be slightly allergic, sense my gums, tongue, lips and throat started to itch a little bit. It went away after about 10 minutes, but im concered i might have a gain tomorrow. Is it too soon to add nuts? Can an allergy cause a gain? Ive been staying two pounds under LDW,147, and am eating 1700 calories a day, i was also curious if I’ve about hit my calorie limit or could i get up to 2k a day? Honestly, there are other ladies who eat nuts earlier on P3 (others some do it on P2) and they seem okay with it. I have heard of ladies who eat almonds while on P2 and do well. It may be that you are really allergic or sensitive to nuts if it may lead to gains so we’re not really sure how it will affect you. And the calorie limits also depends on how active you are. If you do exercise, you can increase up to until you find where your weight stabilizes. So I’ve had a bit or a rough go of it lately! I’m in P3 of my second time doing HCG, I started the journey at 213 then got down to 185.5 in November and stabilized out perfectly and decided to do a second round last month, and I’m around week two and I’ve had to do 7 steak days. Pretty much every other day I have to do one, or every two days if I’m lucky. I’m not eating sugar or starches or fruit, and I am doing pretty much the same thing I did last time I did the P3. I don’t eat over 2000 calories usually, it’s been hard with fasting for steak days every other day. But I’m not eating more than I did in my previous experience and it’s the same foods, mostly eggs or a meat, some green salad with olive oil, peanut butter and nuts occasionally. I don’t know what to do, and it’s exhausting! Please help! Thank you! Hey Jett! I’m so sorry you are struggling so badly. With P3 the key is to gradually add calories back in, not all at once. You are female? 2000 calories a day is typically too high for most women just coming off hCG. 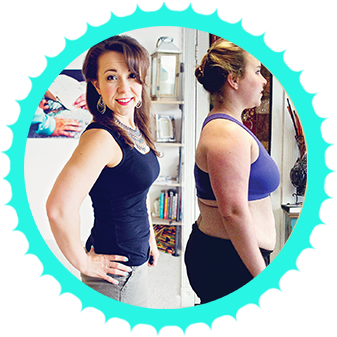 My P3tolife.com program woman do not have issues with needing correction days and the calories and foods used is strategically incorporated gradually for stable success, so you might want to check that out. We don’t add nuts until week 3 on the program and the calories go up gradually each week. Typically as you lose weight, your daily calorie expenditure as a smaller person, so that means you can’t eat as much as when you were a heavier weight- so for instance, how many calories you burn in a day at 185.5 would be higher than being at 170lbs – so you will have to eat a little less at your lower weight. The way to gradually raise metabolism is to lift weights, but the normal thing is that when you are a light person you burn less calories just as a natural consequence of not having as much weight to move around- make sense? I think if you were to check out P3tolife it would greatly help you. But if not, my advice would be to take out nuts for the moment, and start with 900/1000 calories week 1, 1100-1200 cals week 2, 1300-1450 cals week 3- that’s how P3tolife is designed- you gradually up and your body can stablize out and gradually get used to higher calories again. When you are heavier weight you usually have more fudge room, so it makes sense that things went well after round 1, but as you get smaller, you will have to be more strategic to make things work. I hope that helps a little! I know how nervewracking it can be in P3 and these correction days. I had the same issue actually back in the day and didn’t realize I was just simply eating too much, even though like you, I was strictly avoiding all sugar and starches and even fruit. But I was still eating too much right out the gate of P3 and didn’t know it. You can definitely increase your calories to a higher level, it’s just it needs to be done gradually. Oh my gosh, that makes sense! And yep I’m female! Well my next question is, I’ve maintained within 2 lbs of my ending weight but I’m on week three of P3, so have I messed up by eating too much or should I just keep maintaining until jt stabilizes for longer periods of time while trying to cut back on the daily calorie intake? Or is it too late? My schedule is hectic but I definitely plan on working out after my semester ends (I’m a college student), so I’ll pay attention to increasing calories then! So I’ve been having a rough go of it. This is my second time doing the HCG diet. I started at 213, got down to 185.5 after the first time in November. Then I just finished the second time about two weeks ago (so I’m on P3) and I got down to 170.0! But I’ve been doing everything the same as the first time but I’ve had to do 7 steak days, pretty much every other day or every two days and I’m not eating fruits or sugars or starches and I’m pretty good about not eating over my calories, but it’s hard when your fasting every other day! What do I do :(?! Please help! The weight you are the morning of your last injection (or drops incase). This is the weight you will be trying to stay within 2 lbs of while in phase 3. I am on day one of my 72 hour post LIW. I eat seafood but no other meat. If I do gain more than 2lbs, is there a suggestion for an alternative to the steak day for non meat eaters? You want something that is high fat, plenty of protein, low or no carb like the steak. I think salmon can work or a full fat fage Greek yogurt or if you eat eggs you can try that too. What do you suggest we eat on P3? Im up to almost 4lbs more than my LDW and still eating no starch or sugar, in fact, i actually did cardio 2 times a day. Please email at [email protected] and I’ll email you the free food list. my LDW was 166.2 on day 21. I didn’t do the 72 hour transition from phase 2 to phase 3. So on day 22 I started with the 800 calories (NO SUGAR & NO STARCH), and this morning day 23 im at 167.4. what should I do? I had my last drops last night and weighed first thing yesterday morning so is that the weight I have to try and stabalise? Do I count 72 hours from my last drops at night I.e. 4.30pm? Hi @ursulalambert:disqus – yes you would count 72 hours from your last dose – I actually have a post about this topic here http://hcgchica.com/the-72-hours-before-phase-3-starts-hcg-diet/ I hope that helps! Rayzel seems you always post what I need to hear. Yep, in day 12 of P3 here. Haven’t been perfect but have eaten clean for the most part. I’m about 4 pounds from my LDW but I also ate no fruit (which btw I did because of your article… it helped so much with the sugar/starch cravings). I just read again your article on what to do if you royally mess up. Again, I’m going to take your advice and just try to eat clean for the most part until I’m ready for the next round. I feel so much better physically so I’m happy with my results (25 lbs lost) even though I still have quite a ways to go. Thank you, thank you so much for your insights and help. I couldn’t have gotten this far without you. God bless! Hey @disqus_jpeORrz38i:disqus! It’s always so fun for me to find out that something I publish was timely to someone. and Yes yes! It’s usually required to stabilize higher than the 2 lb window when you haven’t eaten fruits on Phase 2 so it actually sounds like you’re exactly on target. You’re welcome! Thanks for the comment.